(Newser) – Sue Foster knew just what to do when her antsy border collie Taff got naughty: Rent him some sheep. Now Foster owns a herd of sheep, some land in Washington state, and two more border collies. "I never dreamed it would go this far," Foster tells the Wall Street Journal. And she's not alone. 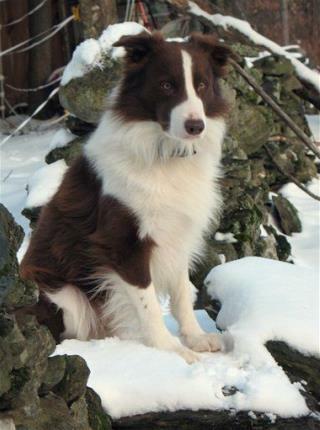 Border collie fans are finding out fast that herds of sheep are the only real answer for really baaa-d dogs. Some 18 dogs visit Fido's Farm in Washington state daily, where for $15 per dog, border collies can relentlessly herd sheep. Any Border Collie or BC mix needs THE JOB. Any job. Otherwise they will drive you crazy. This is why people should thoroughly research a breed before taking on sporting, working, herding dogs. If their needs to do what they were bred to do are not met or lifestyle is incompatible with the need, the dogs end up in an animal shelter or end up being passed around. Neither is acceptable. Be ready to have a dog that is smarter than you are and one that will always have your back. My BC X is almost 18 years old and thanks to the ONE MINUTE CURE she is back to being on duty and enjoying life to the max!